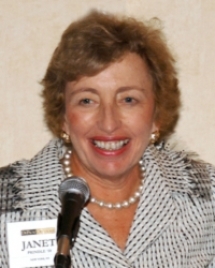 Janet W. Prindle, a 1958 graduate of DePauw University, funded the construction of the Janet Prindle Institute for Ethics at Depauw University in 2007. A pioneer for women on Wall Street, Ms. Prindle was the first woman to be named partner at Neuberger Berman. She retired from the firm as managing partner in 2004. A leader in initiating innovative investment services, Prindle was named as one of Barron’s Top 100 mutual fund managers multiple times. In 1994, Prindle launched N&B’s Socially Responsive Fund, a successful mutual fund which invests in companies that have both a solid financial track record and demonstrated social concern. Prindle guided the fund to high levels of performance, resulting in a four star rating by Morningstar. N&B’s SRI mutual fund includes a diverse portfolio of well-respected industries and enterprises in corporate America that have a history of meeting societal needs and establishing positive social policies, such as community, environmental, employee or family programs. As the head of N&B’s Socially Responsive Investment group, which manages assets totaling more than $500 million, Prindle advanced a new era of money management giving investors the ability to pursue financial and ethical goals simultaneously. Throughout her career, Janet Prindle successfully dispelled the idea that socially-conscious investing means lackluster performance. She has proven that progressive social policy can indeed be a company’s best financial strategy.